It seems that everyone is looking to achieve ultimate wellbeing these days. From esoteric meditation techniques to fancy skincare marketed as magical potions for our pores, ASMR-inspired mobile apps to hard-core detox retreats, the options seem almost infinite and the process of getting to that “happy place”, somewhat, daunting. Shouldn't we be seeking to admire untouched natural landscapes and entertain ourselves with gentle open-air exercise whilst gorging on organically-grown locally sourced homemade meals instead? Don’t get me wrong, having access to these sophisticated wellness experiences is a privilege of our century and are all quite interesting to explore as we often do, here, on Living. 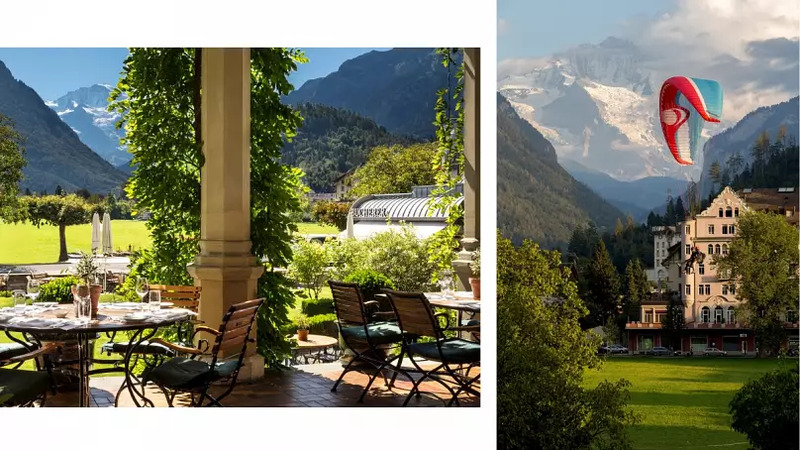 However, a recent press trip to 5-star Victoria Jungfrau Hotel & Spa in Interlaken (Central Switzerland) made me reflect on what it takes to deeply unwind and disconnect from our busy city lives. Championing a “back to the basics” lifestyle, the Nescens spa tailor-made programme not only works with you on realistic goals but teaches you tips to achieve them in the long-term. Here’s what you can expect. Upon arrival, a doctor and a team of therapists sat me down to learn more about the state of my health, habits and tastes, as well as what I wished to get out of this experience. They warned me right away: “This is not a miracle cure that will make you lose weight overnight.” Great, I hate diets and, I have to confess, a part of me feared to be fed tasteless soup for 3 days. It’s a cure, after all. It was quite the contrary - but more on that later. The usual guest gets a blood test, weight measurement, an osteopathic articular assessment and an in-depth body diagnostic. A special 3-course menu is then drawn up, in collaboration with the restaurant’s chefs, which follows a guest’s dietary requirements and their favourite dishes. 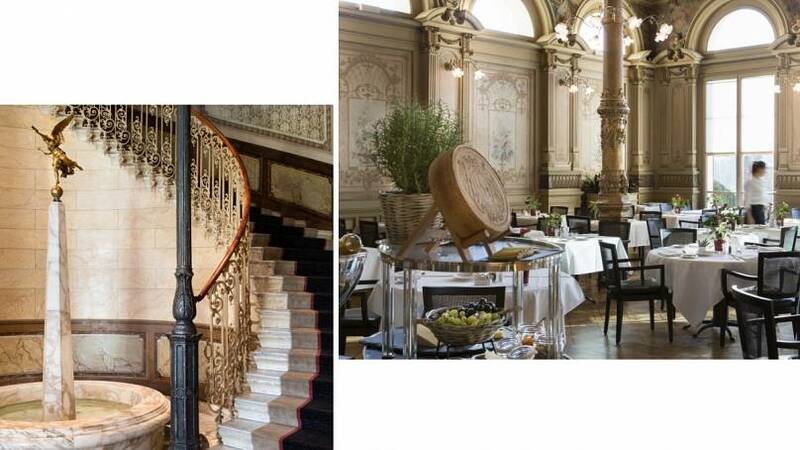 For example, dinner could start with Boletus carpaccio followed by Salmon-bonbon & citrus fruits and a chocolat soufflé. 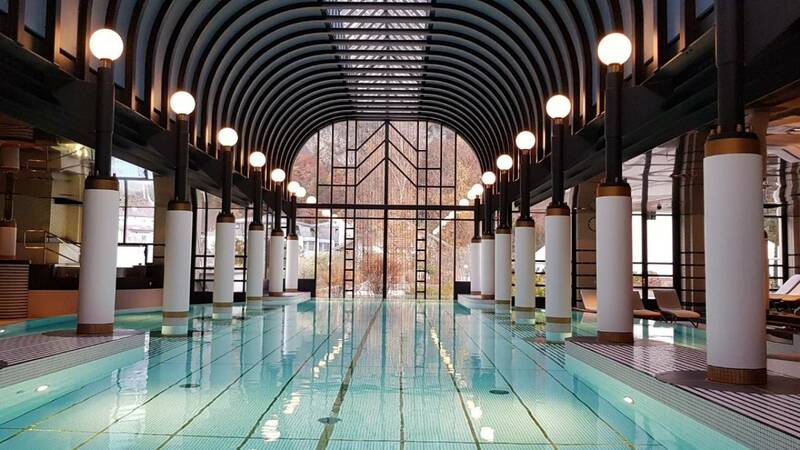 Backed by scientific and medical expertise, the Nescens spa and cosmetic brand is a cornerstone of Swiss traditional wellness. It was brought to life by the Centre for the Prevention Of Ageing at the Clinique de Genolier, created 15 years ago by professor Jacques Proust. Championing simple lifestyle changes, the Nescens team bet on joyful physical exercise in nature (1 hour per day with a personal trainer) and targeted treatments (3 hours per day) including balneotherapy to correct imbalances at the source and gain back vitality. My favourite “doctor’s recommendation” was a full-body massage in the state-of-the-art spa. 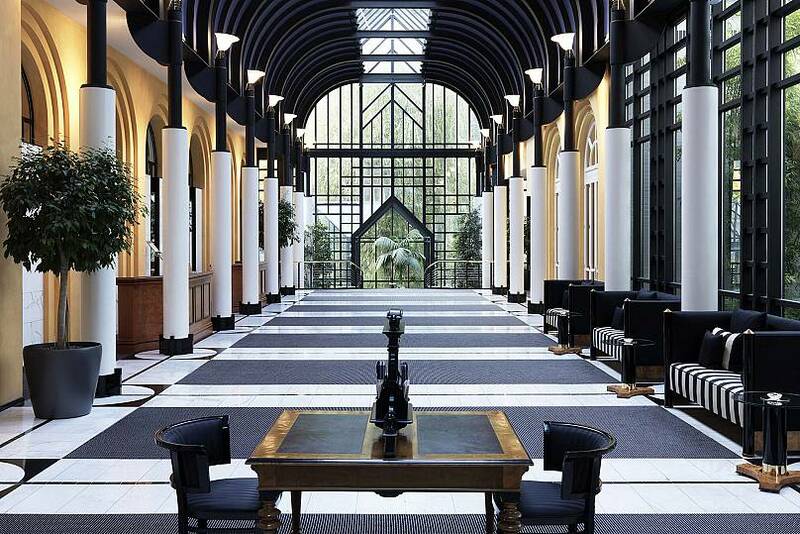 First, the facilities look like a movie set with these perfectly aligned Art Deco black and white columns that make for a stunning (guaranteed foolproof) photo. 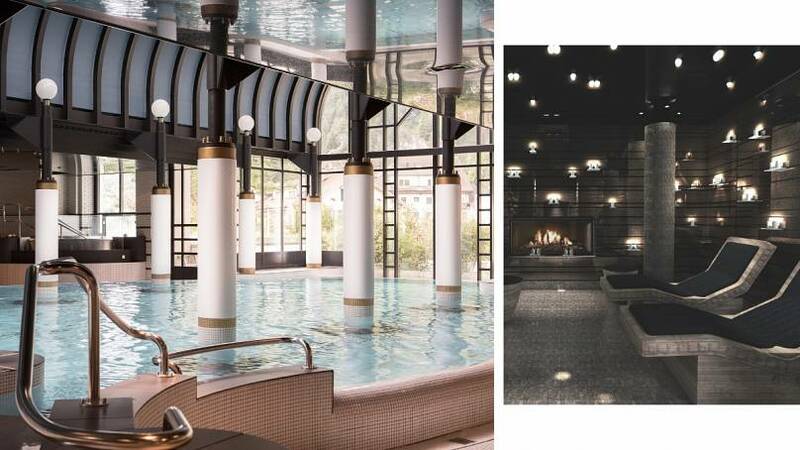 Second, it’s one of the biggest spas in Europe with five thousands five hundred square meters of pools that come in various shapes and sizes, luxurious saunas with star-studded ceiling and roman-inspired outdoor baths overlooking the Swiss Alps - which is the perfect spot to get that coveted mid-winter natural face tan. Pretty dreamy, and relaxing. I was also invited to discover the hotel and stayed in a room with a view over the Bernese Highlands and its Eiger, Mönch and Jungfrau mountains. Funnily enough, Victoria Jungfrau is located in front of a paragliding landing pad which makes this view quite surreal. Picture the scene, tiny flying humans over majestic peaks set against a rich blue sky, all day, everyday. No wonder this place has managed become an institution over the years. As a matter of fact, it’s Interlaken’s strategic location which has made this place such a hit. Tucked between scenic lakes (Thun and Brienz) and located in the foothills beneath the highest ski station in Europe, it is also close to Bern and Luzern, which make it a great place to explore the country. 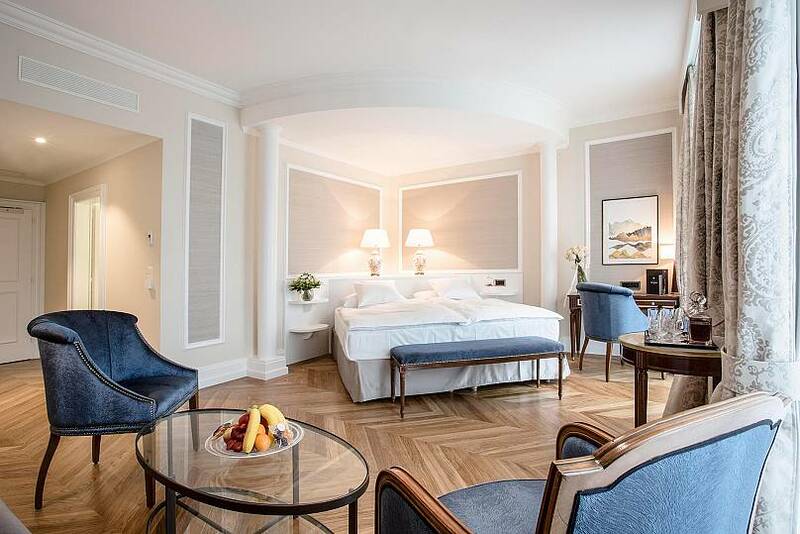 Victoria Jungfrau - being the most luxurious hotel in the area - is a natural magnet for the European elite in search of a secluded atmosphere to enjoy deep relaxation. Rooms are classic, polished and soothing with baby blue wallpaper and bed covers, dark wood contemporary furniture, a bouquet of white camellias on the bedside table waiting for you and marbled bathroom with walk-in showers. These interiors are more down-to-earth compared to the extravagance of the main hall, restaurant and spa, which are adorned with dazzling gilded mirrors, stucco and crystal. Definitely an interesting contrast. 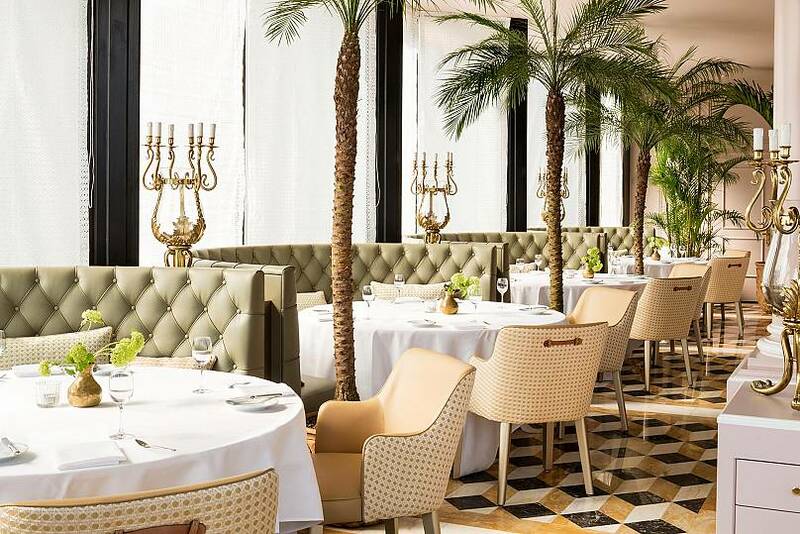 The main restaurant La Terrasse that recalls an orangerie in the south of France with exotic flora on every corner is a feast for the eye. As for the dishes, they come with regional authentic cuisine, which ingredients are sourced within a very strict 40 km perimeters around the hotel. The “local menu” can be enjoyed either in three or six courses (I did the latter of course) and is accompanied by either Bernese wine or Bödeli beverages. It’s a real treat that I highly recommend. Executive Chef Stefan Beer source talented producers himself, like “the Meiringen dairy” or the “Truffle Lady” Christina Mader”. “Our products are from small producers who don’t do mass production.” he explains. The rest is found in the hotels’ own herb garden where 50 different kind of herbs are grown as well as hazelnuts and several varieties of berries. “I love cooking with herbs and garnishing dishes with them. These herbs are of enormous importance to our cuisine” he adds. I found this stripped-down approach to wellbeing, centred around fundamental elements such as connecting with nature through gentle movements and eating gorgeous unprocessed locally sourced food more therapeutic than I thought I would - and definitely easier said than done. The Nescens Better-Aging programs were developed to help target and correct the imbalances that accelerate aging such as overweight, stress, fatigue, while enabling you to gain a better understanding of your risk factors and the ability to implement a tailored health prevention plan.